Precision engineered glass arms extended outward, posed in an explosion of energy. Antique Bronze, Dark Brown, Matte Silver, Matte Black, Matte White. Additional finishes are available for an up charge. A standard canopy, as well as a transformer, halogen light bulbs and up to five feet of wiring comes standard with each pendant for 6 pendants or more on a single canopy. Custom lengths are available for an additional charge. 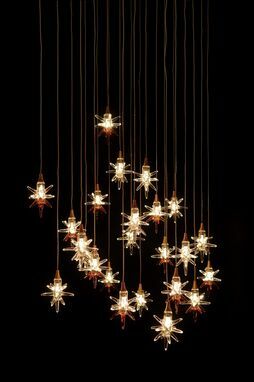 Available as individual pendants or chandeliers. 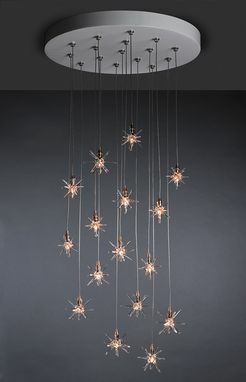 Imagine a grouping of our bright Star pendants glittering in their own intimate constellation over your dining table, or a vast galaxy of them spinning through your soaring foyer. Each pendant is attached to a bulb socket with a brass or silver decorative bolt assembly. 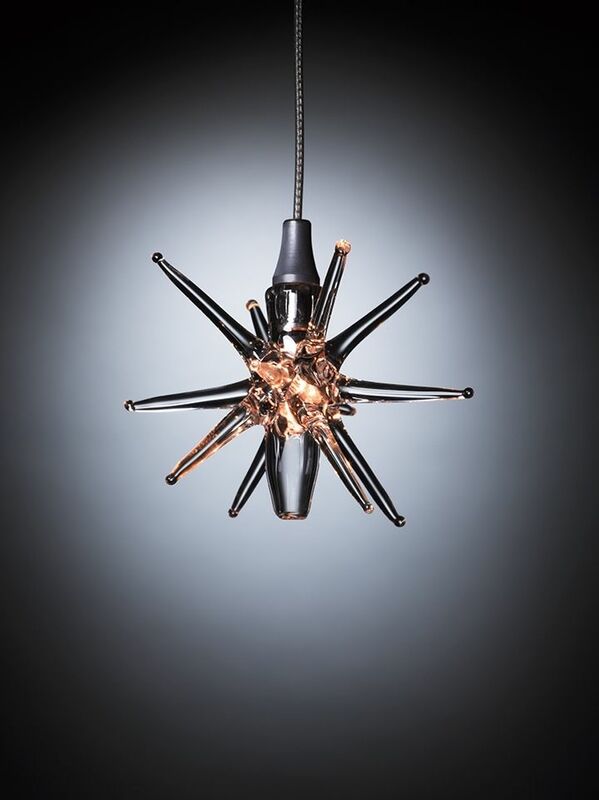 We can hang individual pendants all at the same height, or in a staggered formation, depending on your preference. 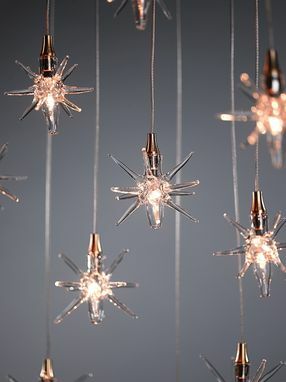 Generally our chandeliers consist of 16 – 24 pieces, with a canopy sized to accommodate the pendants and shaped to fit your space. As our items are hand-made, sizes are approximate. Variations in size, color, shape and texture (including but not limited to fissures, bubbles, crackling, and crazing in the glass) are inherent to all of our glass.